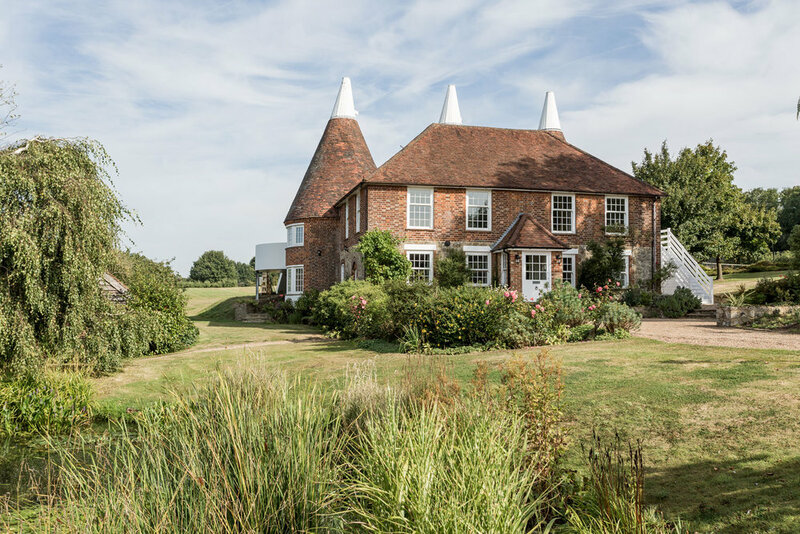 Long Mill Farm is a charming and attractive triple roundel oast and barn set in glorious grounds of nearly 20 acres with equestrian facilities and countryside views. 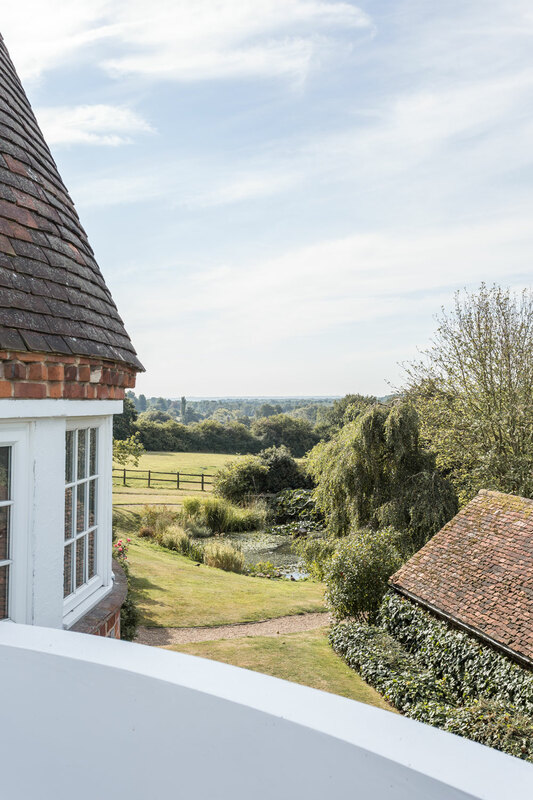 Long Mill Farm is an attractive triple roundel Oast and Barn with stone, red brick and timber shiplap boarded elevations. 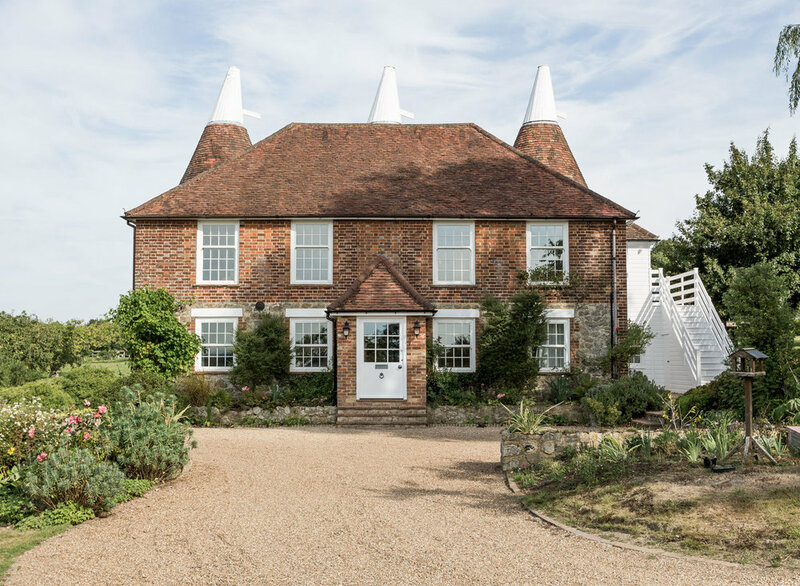 When our clients purchased the property it was in need of modernising and also for us to consider how the spaces related to each and flowed. What makes the dwelling different from others where we have been asked to re-model the house was that the sleeping accommodation at Long Mill is on the ground floor with all the living accommodation at the first floor. We worked with our clients to re-imagine the property with the creation of a double height void so that the brick roundels could be experienced from within the first floor living room. More versatile accommodation was integrated including a new mezzanine in one of the roundels with the other two roundels, that contain at first floor the dining room and kitchen vaulted to reveal the roundels roof structure and create impressive unique volumes. An enlarged replacement terrace off the three roundels ensures occupants get the maximum benefit from the extensive landscaped gardens and also provides a wonderful, improved access to existing heated swimming pool , orchards, woodland and tennis court.